Product prices and availability are accurate as of 2019-04-12 04:51:52 EDT and are subject to change. Any price and availability information displayed on http://www.amazon.com/ at the time of purchase will apply to the purchase of this product. 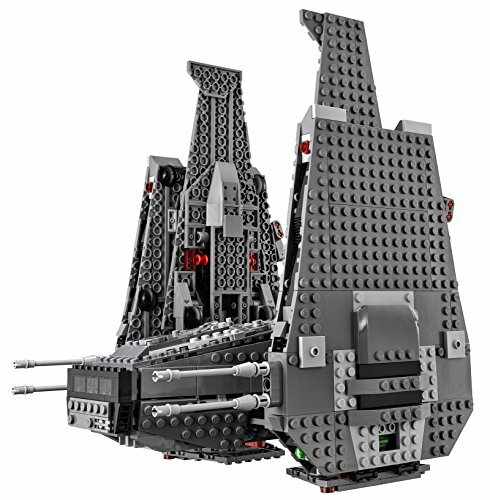 Enter the battle with Kylo Ren's Command Shuttle! 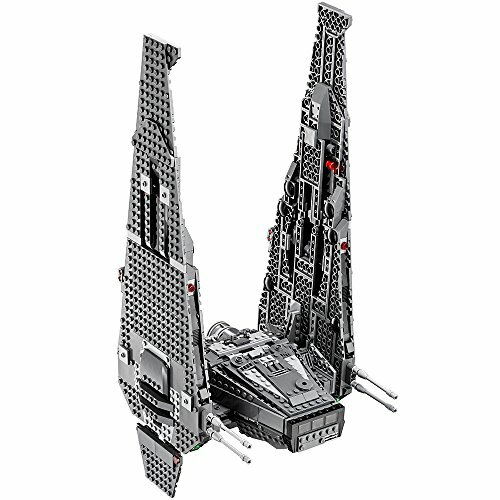 Go in search of the enemy with Kylo Ren's Command Shuttle with storage bays, spring-loaded shooters, amazing extending wing function and more. 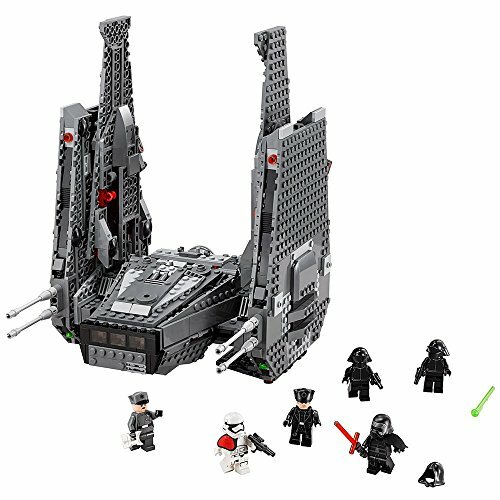 Enter the battle with Kylo Ren's personal Command Shuttle! This fantastic, highly detailed LEGO Star Wars toy has loads of features, including opening front, rear and bottom storage bays; wing-mounted, spring-loaded shooters and detachable weapon racks. And when you're ready for even more action, activate the amazing extending wing function! It's time to hunt down the enemy and play out your own great scenes from Star Wars: The Force Awakens! 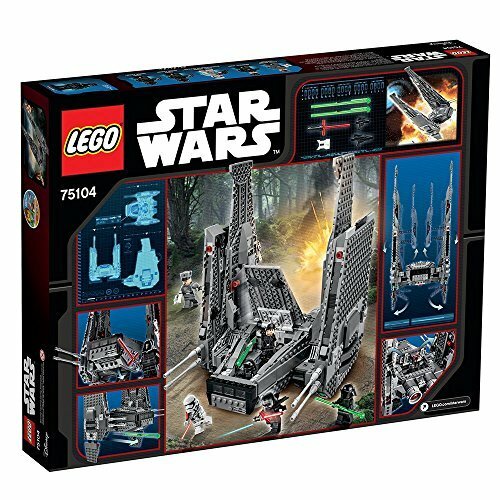 Includes 6 minifigures with assorted weapons and accessories: Kylo Ren, General Hux, First Order Officer, 2 First Order Crew and a First Order Stormtrooper Officer. Features opening front, rear and bottom storage bays; wing-mounted, spring-loaded shooters and detachable weapon racks, and amazing extending wing function. 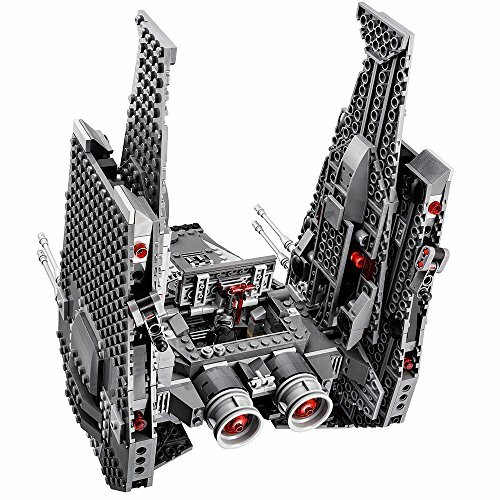 Weapons include 2 blaster pistols, blaster and Kylo Ren's Lightsaber. Accessories include 4 helmets and an electrobinoculars element. 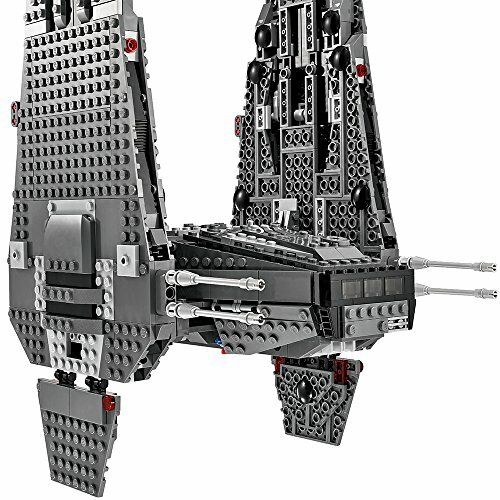 Activate the amazing extending wing function!